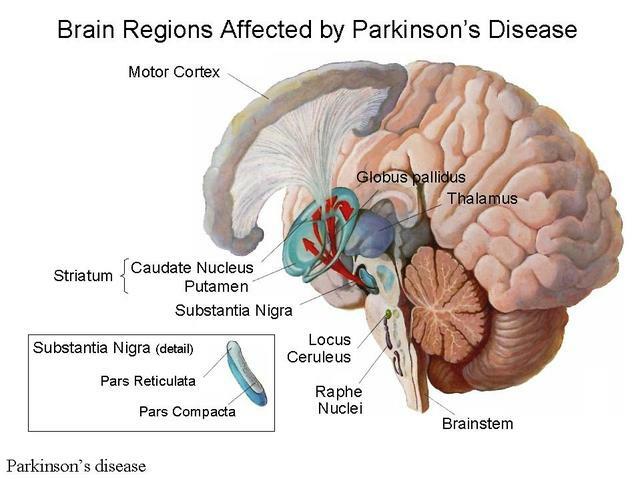 Parkinson disease is a brain disorder. It occurs when certain nerve cells (neurons) in a part of the brain called the substantia nigra die or become impaired. Normally, these cells produce a vital chemical known as dopamine. Dopamine allows smooth, coordinated function of the body's muscles and movement. When approximately 80% of the dopamine-producing cells are damaged, the symptoms of Parkinson disease appear.